After our adventures in Valle Sacta, we came back to Montero and showed Julia around a little bit. It happened to be National Teacher’s Day and so she came to the Kinder and partied with us. Julia and Nayerly dancing. She also stopped by my English class and talked with one of my students. My student said afterwards, “she so different from you. She’s really happy and smiley.” Oh, I thought, I guess I should try to smile more in my English class. We also took Julia to Santa Cruz for a day to see the plaza, cathedral and most exciting of all, the feria. The feria is a huge outdoor/indoor shopping center that’s open Wednesdays and Saturdays and sells everything you could ever want in bulk. But it’s a collection of thousands of small vendors instead of a big box store like Costco. It’s a great place to find all your illegal or fake merchandise. 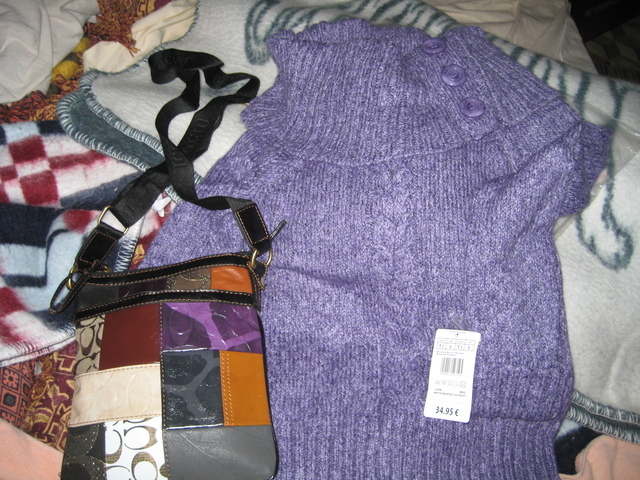 I got a sweater for $10 that came with a tag on it that said 34.95 Euros! Of course the guy offered me a cheaper price if I bought by the dozen, but I didn’t need a dozen sweaters. And for Julia’s birthday present we found her a snazzy faux-Coach purse. Julia was such a trooper what with us dragging her all over the country, being offered sketchy food, and braving the craziness of the feria. 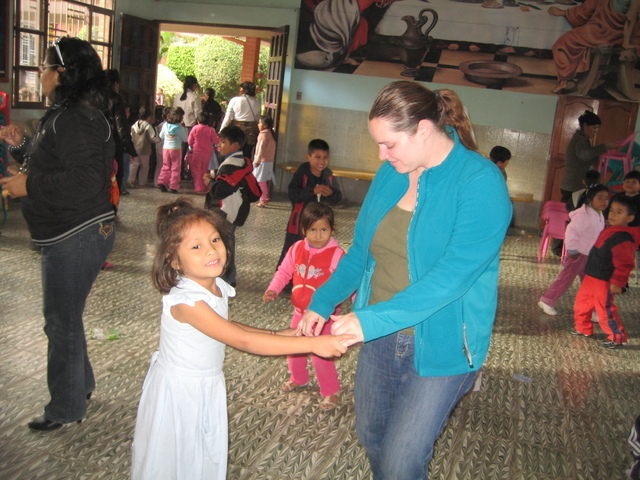 It was really fun to have a visitor willing to come experience the real Bolivia with us. Thanks for the visit Julia!